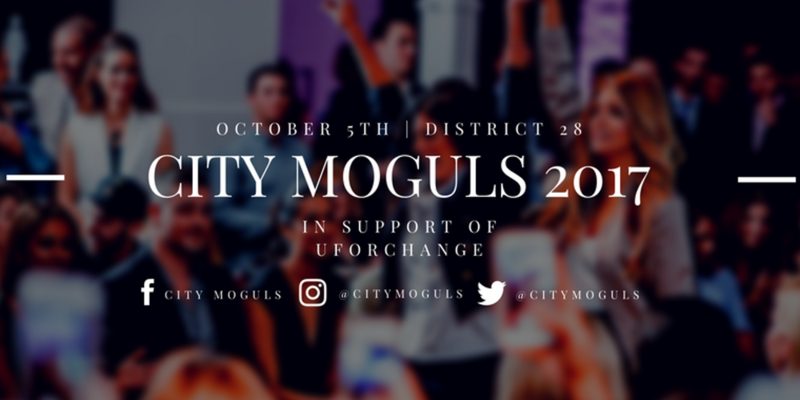 On October 5th 2017, City MOGULS will be hosting their annual fashion show for charity. This fashion show seeks to highlight Toronto’s most innovative entrepreneurs and influencers and by doing so, provide young like-minded individuals with a platform to give back and get involved in Canadian charities. This year, we are proud to announce that UforChange will be the recipient of City MOGULS’ charitable efforts. The annual event attracts young professionals from all different industries including fashion, media, finance, art, business, health, journalism, non-profits, and much more. Each year, MOGULS are nominated by the public and selected by the City Moguls team to strut their stuff on the runway while rocking Canadian fashion! If you would like to attend the fashion show, you can buy tickets here.